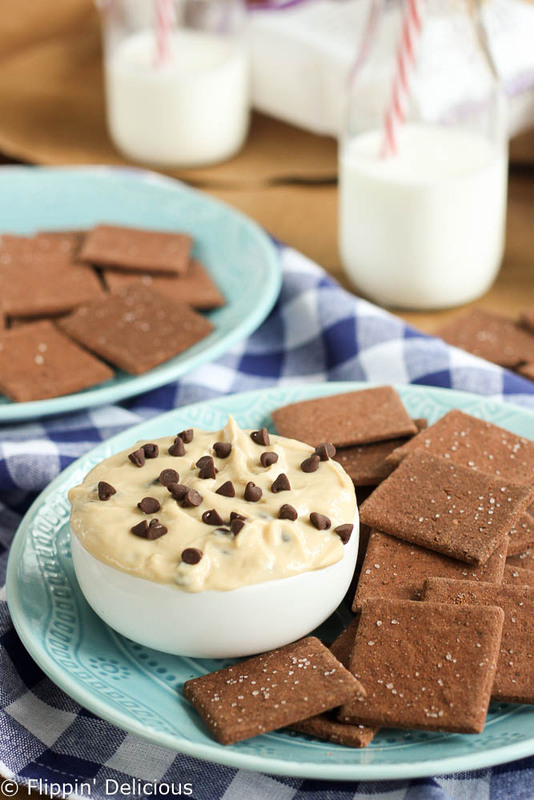 Gluten free cookie dough dip that’s a little bit healthier too, thanks to Greek yogurt. 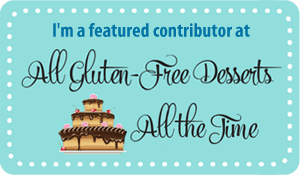 Now even your gluten-free friends can dig into this well-known sweet treat, with PARTNERS Free for All Brownie Thins to boot! This post is part of sponsored recipe development on behalf of PARTNERS Free for All Kitchen’s Crackers. All opinions are my own! It is no secret that I am a huge fan of cookies. Especially the gluten-free variety, because then I can eat them. 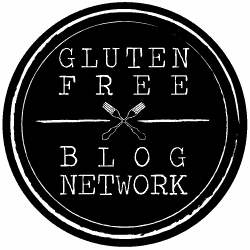 Cookies are my favorite thing to bake, so much so that I wrote a whole gluten-free cookie cookbook. That being said, I think I love cookie dough just as much, if not more, than cookies. There are lots of reasons why eating raw cookie dough isn’t a good idea. Raw eggs is one, but I already solved that by making egg-less gluten-free edible cookie dough. Cookie dough is also loaded with tons of sugar and butter, (which make it taste amazing!) but doesn’t a make it a good afternoon snack unless you are trying to pack on lots of pounds. I’ve been playing with the idea of making a “skinny” gluten-free cookie dough dip with greek yogurt, so that I can indulge without the guilt. When I first got my hands on PARTNERS Free for All Kitchen’s Brownie Thins I knew that I had to make my skinny cookie dough dip a reality. Brownies and cookie dough are a match made in heaven! Now let me tell you a little bit about PARTNERS Free for All Kitchen’s Crackers. All the crackers in their line are Gluten-Free and GMO-Free. They are also made with 5 ancient grains and cassava flour instead of the typical rice and corn. They are crackers that I can feel really good about giving to my kiddos. Plus, I LOVE how they taste! The crackers have such a sturdy texture, perfect for thick dips. Or my favorite, cream cheese with pepper jelly. I can scoop right in without my cracker crumbling to bits. They remind me of my favorite wheat crackers from before my gluten-free days. 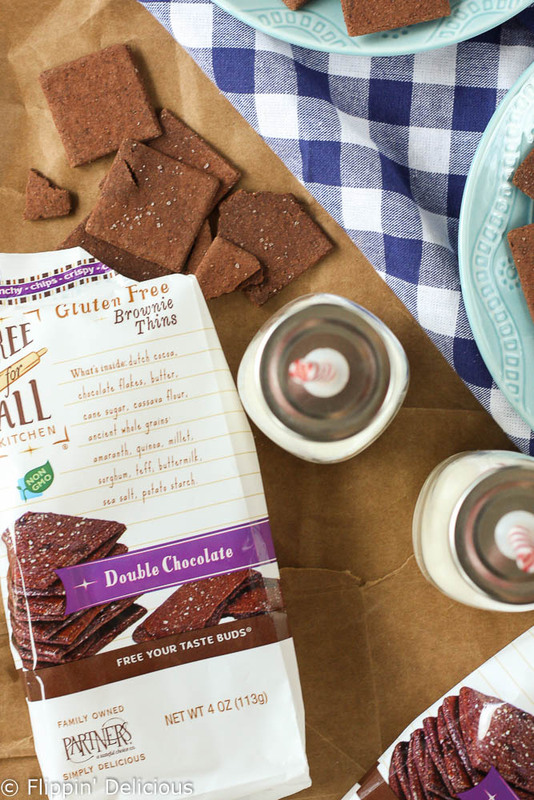 And the Double Chocolate Brownie Thins… they are so good! They have a very deep and rich chocolate flavor, and are crisp and crunchy. 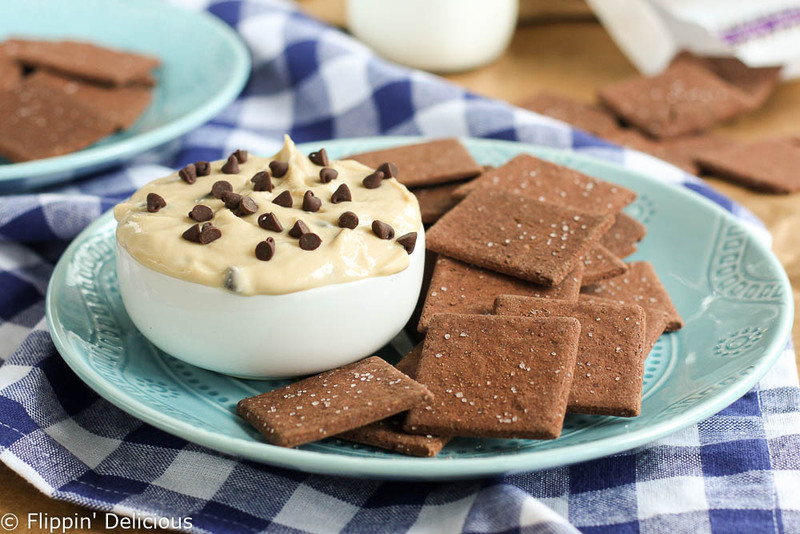 And they go perfectly with this “skinny” or “healthier” gluten-free cookie dough dip. It is like dipping a brownie into cookie dough. Except in a lighter, crisp way. The gluten-free cookie dough dip recipe is really easy to make! You simply mix together some plain greek yogurt with a little bit of brown sugar, a little sweet rice flour, and some chocolate chips and vanilla. That is it! The dip has a little bit of a yogurt tang to it, but that depends on what yogurt you use. I tried using vanilla yogurt and it ended up being way too sweet. If you don’t have sweet rice flour on hand, go ahead and swap it for another gluten-free flour. Just be sure to use something with a very light flavor that is finely ground so you don’t have a sandy texture. I found sweet rice flour to be perfect! While not quite that level of excited, I am looking forward to it. I’m excited to be packing her lunches for the first time. 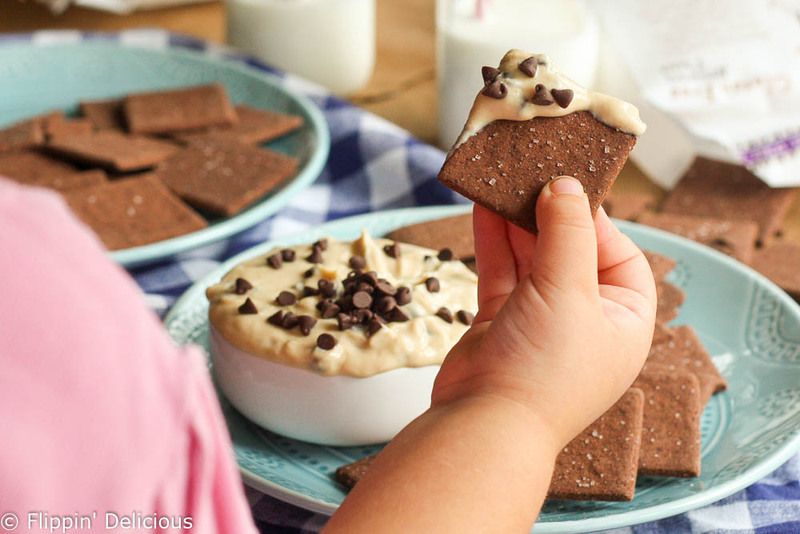 I’m pretty sure that some Free for All Crackers are going to show up in her lunchbox, and then when she gets home we’ll share some of this healthier gluten-free cookie dough dip and a bag of Brownie Thins! These look so yummy!! Thanks for sharing at the #HomeMattersParty – hope to see back again next week!